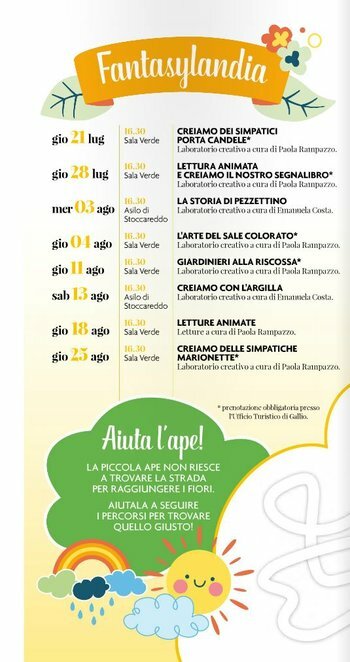 Thursday, July 28, 2016 is scheduled the second round of Fantasylandia in Gallium, on theAsiago plateau, with an exciting animated reading and a mini lab to create a bookmark. It is a creative workshop for children by Paola Rampazzor, starting at 16.30 at the green room. Children will have fun with the Nice gags in a reading informative, giving vent to all their imagination when coloring your bookmarks. Reservations are required at the tourist office. Press the buttons below to contact the Gallium.